Upcoming Casino and Broadway Bus Trips! For more information and to sign-up call the Foundation at (814)336-1792. Join us for ‘Fun, Food and Crafts’ at this year’s annual Octoberfest! Posted by Active Aging on Sep 8, 2016 in Photo Gallery | Comments Off on Join us for ‘Fun, Food and Crafts’ at this year’s annual Octoberfest! 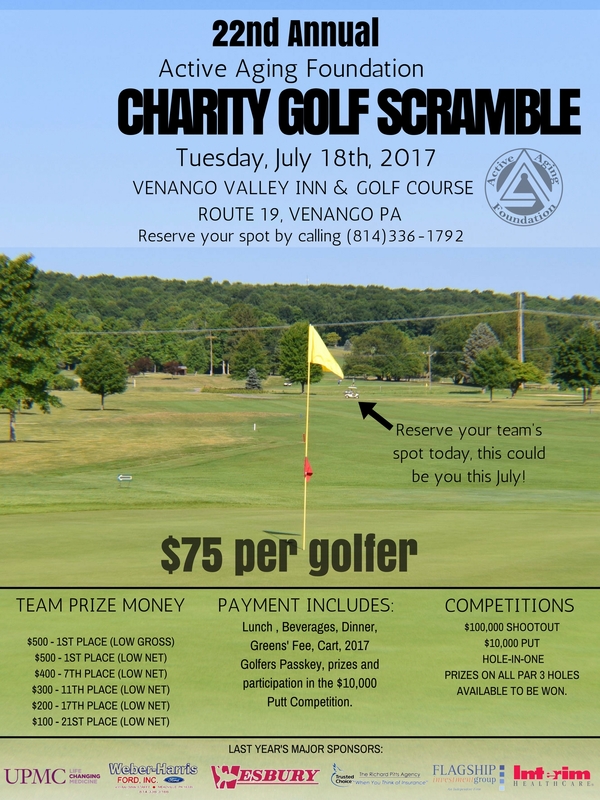 The 22nd Annual Golf Outing is Tuesday, July 18th! For more information contact Active Aging Foundation at 336-1792.